Random House Books for Young Readers. Hardcover. GOOD. Spine creases, wear to binding and pages from reading. May contain limited notes, underlining or highlighting that does affect the text. Possible ex library copy, thatâll have the markings and stickers associated from the library. Accessories such as CD, codes, toys, may not be included. 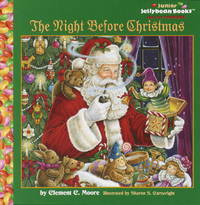 Random House Children's Books, 1999. Hardcover. Acceptable. Disclaimer:A readable copy. All pages are intact, and the cover is intact. Pages can include considerable notes-in pen or highlighter-but the notes cannot obscure the text. Random House Books for Young Readers. Hardcover. 0375801472 Very Good Condition. Five star seller - Buy with confidence! . Very Good. Random House Books for Young Readers. Collectible - Very Good. Signed Copy Collectible - Very Good. Signed/Inscribed by author on illustrator page. Owner's name on inside. Random House Books for Young Readers. Used - Good. Good condition. Bookplate inside. Random House Books for Young Readers, 1999-09-07. Hardcover. Good. 1999-09-07. Good. Ships with Tracking Number! INTERNATIONAL WORLDWIDE Shipping available. May not contain Access Codes or Supplements. May be ex-library. Shipping & Handling by region. Buy with confidence, excellent customer service! Random House Books for Young Readers. Hardcover. 0375801472 Ships promptly from Texas. . New. 1999. Random House Books for Young Readers. Hardcover. 0375801472 . New. 1999-09-07. Random House Junior. Random House Books for Young Readers, 1999-09-07. Random House Junior jellybean bo. Hardcover. Used:Good.